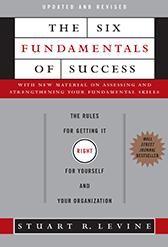 The Six Fundamentals of Success, a Wall Street Journal bestseller for businesspeople at all levels, shares the fundamentals – add value, communicate well, deliver results, act with integrity, invest in relationships and gain perspective – that accelerate learning, action-oriented leadership skills and sustainable results. 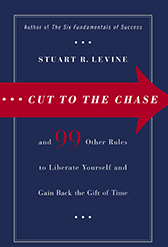 Cut to the Chase reveals 100 no-nonsense rules on how to be more effective at work and make the best use of time, your most precious resource. It provides invaluable lessons for improving productivity and creativity, while advancing both your career and your organization’s strategies.